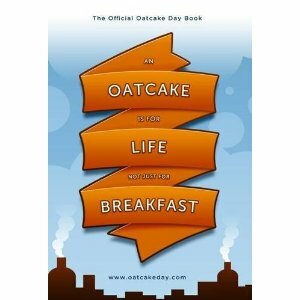 An Oatcake is for Life Not Just for Breakfast is the title of the official Oatcake Day book which captures the story so far of Oatcake Day. 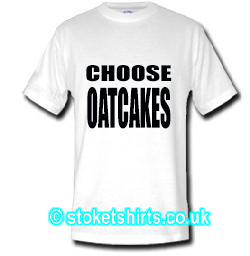 It features a history of the Oatcake written by local historian Fred Hughes, Oatcake miscellanea, recipes, unreliable Shakespeare oatcake quotes, oatcake top tips, a map of oatcake shops and part of the collection of celebrity pictures which are categorised by comedy, local heroes, music, stoke, vale, tv, sport. These pictures incude the like of Slash, Rick Gervais, Jimmy Carr, Tony Pulis, Example, Ash, Glenn Tilbrook, Jedward, Plan B, John Powers,Kate Nash, Scroobius Pip. Micky Adams, Rio Ferdinand, Adrian Lewis, Phil Taylor, Denis Smith, Rory Delap, Derren Brown and loads more.